Players try to tag by touching their back. 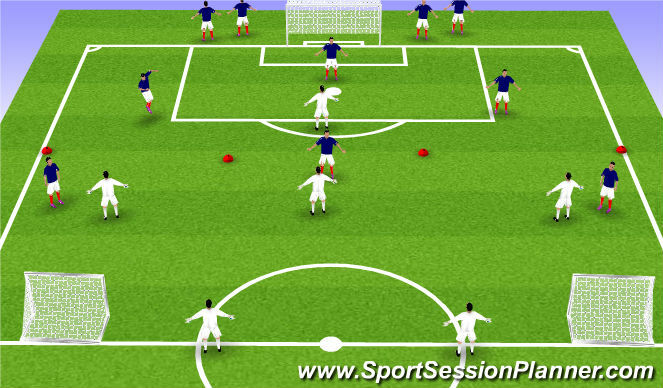 Once caught players must complete a ball mastery exercise before re- entering the exercise. Four teams, rotate catchers. Players keep the ball in 8x8yd box. Players try to catch a ball as well as keeping the ball away from the defender. Passing pattern as shown. Right side then left. Ball starts once shot has been made. 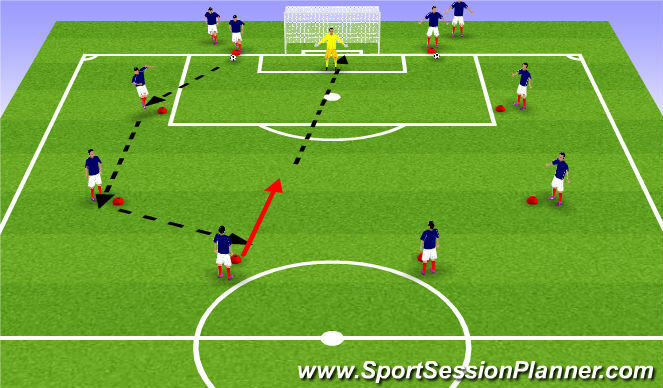 Coach passes to GK who plays into defs. Blues try to score in mini goals. Whites try to win the ball back and play to goal. 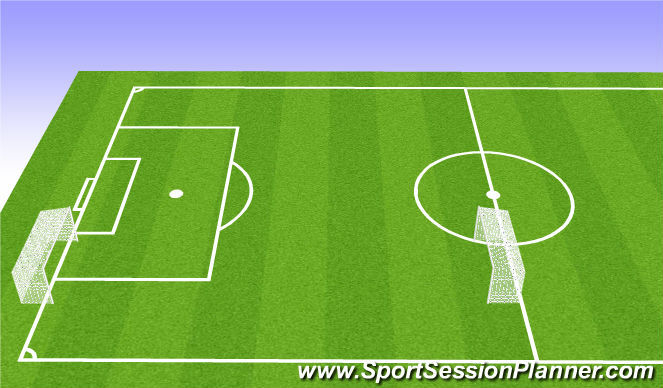 Free play - 2-3-1 formations.